If you are looking to shoot high-quality slow motion video, you’ll need a camera that can record in very high frame rates. With so many cameras available that all shoot at different frame rates and resolutions the amount of information can be overwhelming. 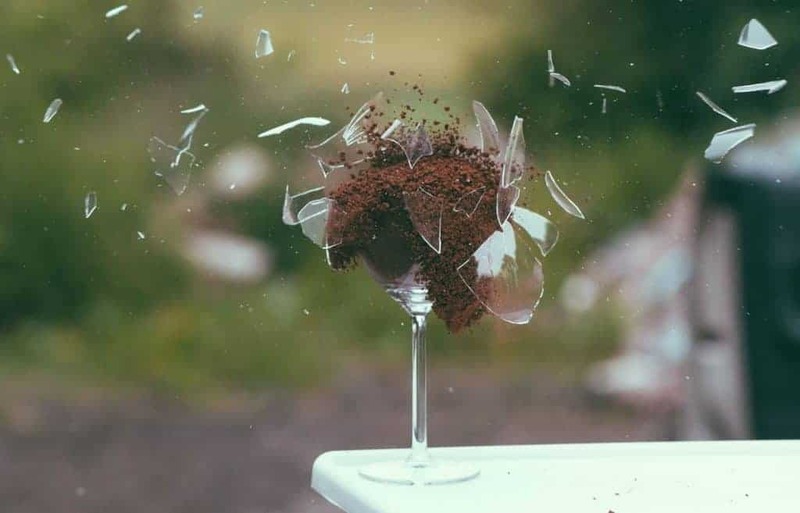 To make it easier for everyone that is interested in purchasing a slow motion camera we have picked the 5 best slow mo cameras currently available. Wether you are looking for a 120 fps or 240 fps camera. If you have a big budget or a smaller budget. We have selected cameras for every kind of buyer. Slow motion cameras can be divided into two main categories. Consumer and professional cameras. Professional Slow Motion Cameras: The professional slow mo cameras are able to record thousands of frames per second at Full HD quality but are incredibly expensive to buy and use. These high-speed cameras start at around $50,000 and some even run into the 6-figures. These professional cameras shoot multiple GB’s per second so you will need to use big and fast memory storage and have high-end computer to edit the footage which makes it even more expensive. Consumer Slow Motion Cameras: Luckily a lot of manufacturers are trying to incorporate high-speed recording in cameras that are attainable for consumers. Consumer cameras are usually limited to 120 or 240 fps at Full HD quality which is only a fraction of what professional cameras can achieve but still meets the needs of most consumers. Luckily, you can slow down clips even further with video editing software which is enough to get the desired result most people want. There are a lot of consumer cameras that can do more frames per second but not in Full HD quality and/or by using algorithms to create extra frames. We have divided our camera recommendations into three categories: slow motion cameras, slow motion camcorders and semi-professional slow motion cameras for professionals with a bigger budget that don’t want to spend 50k+ just yet. Our first category features cameras under 1K that are portable and able to record in high frame-rates. 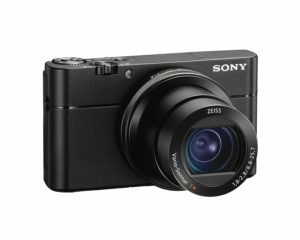 Our first recommendation is the Sony Cyber-Shot RX100 V. Sony put a lot of effort and money into research and development of new technologies which keeps them ahead of most other camera manufacturers when you look at the camera specifications. The RX100 Mark 5’s movie mode records in Full HD 1080p at up to 120 frames per second but it has another mode for slow motion recording. High Frame Rate Recording Mode (HFR). Shooting video in HFR mode allows you to record Full HD video up to 960 frames per second (40x slow mo). HFR mode lets you choose between 240 fps, 480 fps or 960 fps. You can also prioritize quality or length when shooting in HFR mode. Quality priority mode shoots in: 240 fps (1,824 x 1,026), 480 fps (1,676 x 566) or 960 fps (1,136 x 384). Shoot Time Priority mode shoots in: 240 fps (1,676 x 566), 480 fps (1,136 x 384) or 960 fps (800 x 200). If you prioritize quality you can record for almost 4 second while prioritizing shooting time gives you near 7 seconds of recording time. Just beware that HFR mode does not record any sound which is very common for slow motion cameras. 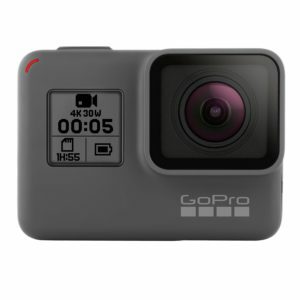 Our second slow mo camera recommendation is the GoPro Hero 5 Black. GoPro cameras are known as great action cameras but they are also excellent at recording slow motion video. The GoPro Hero 5 is a very cheap camera for the frames per second it can shoot so it brings a lot of value for your buck. The GoPro Hero 5 records 4K @ 30 fps, 2.7K @ 60 fps, 1440p @ 80 fps, Full HD 1080p @ 120 fps, 960p @ 120 fps and 720p at up to 240 fps. So you can shoot up to 120 frames per second in Full HD or up to 240 frames per second if you can sacrifice a bit of quality and shoot in 720p. This camera can also take 12 megapixel photo bursts at 30 frames per second. Apart from its slow motion video capabilities. The GoPro is a great camera that is waterproof and very durable which you can use in all sort of different situations. Our first camcorder recommendation is the Sony HDR-SR1. 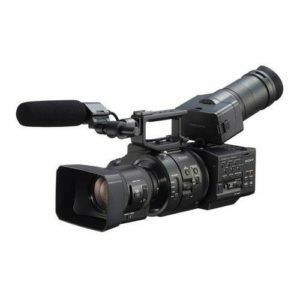 This camcorder is a great all round video camera with the ability to record slow motion video. The camcorder normally records in Full HD 1080p at 60 frames per second but you can increase the record rate for a limited time. You can record in up to 240 frames per second for up to 3 seconds and play the video back in 12 seconds with the built-in 3.5-inch screen. This is great for analyzing your golf swing or recording a bird in flight. The SR1 camcorder also works great for ‘normal’ use. It records high quality Full HD video with Dolby Digital 5.1-channel surround sound and optical image stabilization. Our second camera recommendation is the Panasonic VX981. This easy to use camcorder is a lot cheaper than the Sony SR1 while still offering Ultra HD 4K video recording at 30 frames per second. In terms of shooting slow motion footage it can record up to 120 frames per second. The camera can also record video in 240 frames per second interpolated slow-motion but not ‘true’ 240 fps like the SR1. 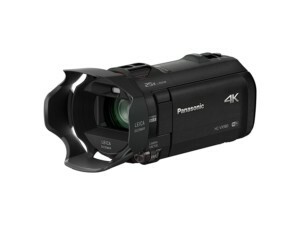 However, considering the huge price difference between the two this is a great entry-level slow motion video camcorder. 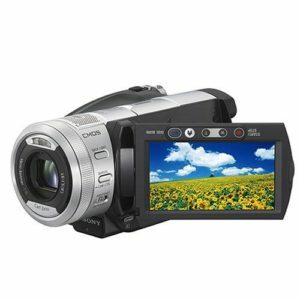 The camcorder also offers a host of other features like in-camera editing on the display, Wi-Fi connection and the ability to take high quality photos while recording video. Our semi-professional camera recommendation is the Sony NEX-FS700. Although this camera is expensive it also delivers incredible slow motion footage. The FS700 features a 4K Exmor Super 35 CMOS sensor with a total of 11.6 million pixels. The high-speed readout chip is specifically optimized for motion picture shooting. This camera can capture 4K RAW at High Frame Rate (HFR) of 100 fps or 120 frames per second for around 4 seconds. In 2K RAW it can record at 100 fps, 120 fps, 200 fps or 240 fps continuous recording which is only limited by your battery life and/or available memory storage. You can also record super slow motion at 10x at Full HD 1080p or 40x at lower resolutions. Picking a slow motion camera can be very difficult since most cameras don’t advertise their frame rates. But hopefully this guide made it a little easier for you. Don’t forget to add a high-speed SD card with a lot of storage space to your order. Slow motion footage can be very large compared to regular footage so you’ll need the extra memory. Another thing to consider is whether you need extra camera lighting for your slow motion setup. Due to the fast shutter times of slow motion video recording only very little light actually reaches the camera sensor which makes recorded footage look dark. Tip: If you want to slow down your footage even further than your camera allows you to do. You can use the Twixtor plugin by Vision Effects which is available for most popular video editing software.